A senior BJP leader openly protested against the Nitish Kumar-led government’s decision to introduce reservations in jobs outsourced to private firms. 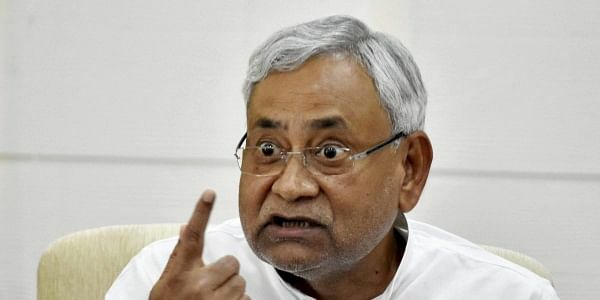 PATNA: Rifts in Bihar’s ruling NDA came to the fore on Thursday as a senior BJP leader openly protested against the Nitish Kumar-led government’s decision to introduce reservations in jobs outsourced to private firms. Although BJP, the main ally of the ruling JD(U) in Bihar, remained quiet when the state cabinet announced its decision on reservation in outsourced jobs on Wednesday, it has now become clear that many in the saffron party were deeply opposed to the move. “This is a bad move. It should be revoked as early as possible,” said senior BJP leader and former Union health minister CP Thakur. Explaining the logic behind his protest, he added: “There was absolutely no need for bringing in this scheme (of reservation) now. The government should be focusing on implementing the elaborate reservation policy already in existence”. Asking the government to focus more on educating children from backward sections, Thakur said the latest reservation move would alienate many people by snatching employment opportunities from them. “Reservation in outsourced jobs would hamper private investment in Bihar. It would discourage investors from outside from coming to the state. All this could lead to an adverse public reaction against the government,” he added. Thakur’s views were shared by several BJP leaders. According to party sources, BJP ministers were unwilling to approve the proposal for reservations in outsourced jobs. “This was primarily a JD(U)-backed and JD(U)-promoted proposal. Our ministers had said no to it, but they did not object to it when Chief Minister Nitish Kumar pushed for it at the cabinet meeting on Wednesday,” said a BJP state general secretary. BJP sources also said the saffron party has refrained from a “full-fledged opposition” to the cabinet decision out of fear that it would be immediately painted as an “anti-reservation party” under Bihar’s present political circumstances. Thakur’s views evoked sharp reactions from JD(U) as the regional party’s spokesperson Neeraj Kumar advising the BJP leader to “first discuss the matter in his party and not seek publicity for himself in the media”. While BJP officially issued no statement on the controversy and the party’s leaders remained tight-lipped throughout the day, NDA ally and HAM chief Jitan Ram Manjhi described Thakur’s views as “his personal opinion”.